It wouldn’t be game day without a tailgate. And since you probably won’t be driving down to Atlanta with your buddies, your grill, and a cooler of beer, the next best thing is a Super Bowl pregame thrown by one of the biggest names in Super Bowl parties. Maxim Pregame Experience is back on Super Bowl Sunday for the first time in seven years and you won’t want to miss it! Don’t worry, they’ll bring the beer… and did we mention that DJ Snoopadelic is headlining?! 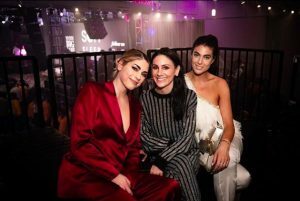 As you probably know, Maxim BIG Game Experience throws one of the most over-the-top, extravagant, model-filled Super Bowl parties on the night before the big game each year. This year is no different. 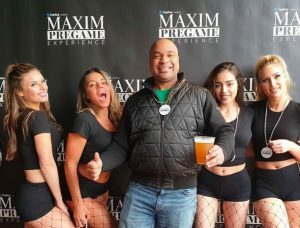 Maxim Big Game Experience will still be partying late into the night on the Saturday before Super Bowl 53 (we’ve got tickets if you need ’em), but this year, they’re getting up early to put on an epic tailgate party too! 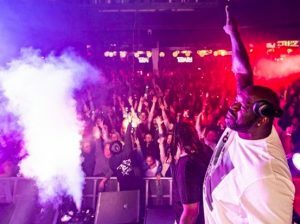 You can be sure they’ll follow in the Maxim Experience tradition of lavishness to create one of the best parties anywhere in Atlanta on Super Bowl Sunday. Last year, the no-fee, online ticket marketplace, TickPick threw an awesome Super Bowl tailgate of their own. But this year, they’re joining forces with Maxim Experiences to plan a pregame party that’s like nothing fans have ever seen before, complete with fab food, flowing top-shelf drinks, and the most exciting entertainment around. On February 3rd, they’re hosting the Maxim Pregame Experience at downtown Atlanta’s ultimate sports bar, STATS. STATS Complex, an incredibly unique venue that interconnects STATS Brewpub, Max’s Coal Oven Pizzeria and Twin Smokers BBQ – providing party-goers with a full-on bar and restaurant hopping experience that spans 30,000 square feet filled with flat-screen TVs, tables, dance floors and even a rooftop deck. STATS is located only four blocks from the Mercedes-Benz Stadium so you won’t have far to walk – about half a mile – if you’ve got Super Bowl tickets. (Of course, you don’t need to have Super Bowl tickets to come to this pregame!) The expansive venue is equipped with plenty of LCD flatscreen TVs, projector screens, and of course, an epic rooftop deck. It once hosted the Adidas VIPs from the 1996 Atlanta Olympics and still contains some of the original artwork if you want to take a look back at sports history! 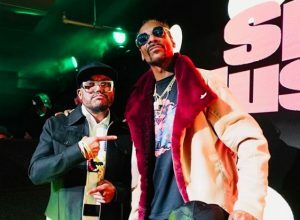 The Best in Entertainment, A Good Cause… and DJ Snoopadelic! You’ll need to shake the hangover and get yourself hyped up for a big day of pregame entertainment on Sunday. The Maxim Pregame Experience will have DJs throughout the entire venue to keep you dancing – there will even be music up on the rooftop! Best of all, Pro Hall of Famer and NFL Network analyst Deion Sanders is hosting the party. DJ Snoopadelic, will put on a special show and DJ set to get pregame guests hyped. 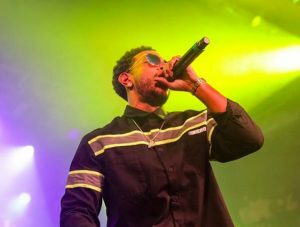 You might even catch some celebrities and professional athletes partying too. In the past, Maxim Experiences have attracted the likes of Lil’ Wayne, Ludacris, Justin Bieber, Kate Upton, Terrell Owens, and Josh Norman. A Super Bowl tailgate really can’t get much better, can it? It can. Maxim Experiences and TickPick are helping out a couple of great causes too. The party will feature a silent auction with lots of awesome sports memorabilia that you’ll have the chance to bid on. A portion of those proceeds will go to benefit causes like Warrior Rising, a nonprofit that supports veteran entrepreneurs in their business endeavors with mentoring services, partnerships, and funding, as well as 22KILL, an organization that raises awareness and combats suicide by empowering veterans and their families through traditional and nontraditional therapies. The party will also honor a few Medal of Honor recipients in attendance! Come hungry because at Maxim Experiences’ Pregame Party, you’re going to eat really, really well. They’ve got you covered when it comes to game-day sustenance with a variety of cuisines and tons of all-you-can-eat options. With three restaurants under one roof, there will be a variety of foods available buffet-style to suit even the pickiest palate, including your favorite bar foods, burgers, pizza, pasta, Southern favorites, barbecue, and desserts. This is your tailgate before the big game (whether you’re actually going to the Super Bowl or not), so you’ll need some drinks… beers, cocktails, wine, all of that. With your ticket to Maxim Experiences’ Pregame Party, guests will have access to a premium open bar. You’ll have your pick of have top-shelf liquors, including Ketal One Vodka, Bombay Sapphire Gin, Bacardi Superior Rum, Herradura Tequila, Johnny Walker Black Label Scotch, and Maker’s Mark Bourbon. They’ll be serving Canyon Road Wines, including Chardonnay, Pinot Grigio, Cabernet Sauvignon, and Pinot Noir. And it wouldn’t be a tailgate without beer, so there will also be plenty of premium and domestic beer options. Of course, you’ll also find soft drinks, mixers, ice, and water at the bars. You won’t find another pregame party like this one anywhere else in Atlanta. If you want to check out the Maxim Experience for yourself, be sure to get your tickets before they sell out! General Admission Tickets start at $399 and include food, drinks, and entertainment (Snoop Dogg, remember?). Buy them here! VIP Tickets start at $699 and they include food, drinks, and entertainment along with access to the private VIP fight room, fast entry, gourmet passed foods, champagne, and a cold seafood bar. Buy them here. Got a group? There are five private booths with flat-screen TVs in the fight room that you can purchase for your group of 10. Looking for something unique? STATS also has three Tap Tables where you can pour your own beers sans bartender! We’ll be offering those for sale to a group of 10 as well. If you’ve got a big group looking for an awesome pregame party, reserve your table by emailing maxim@tickpick.com. Sponsorship opportunities? Email sponsors@tickpick.com to inquire about sponsorship packages. TickPick is the exclusive ticket and hospitality partner of this event, while Lagardère Sports and Entertainment and Rooftop2 Productions are producing the party. 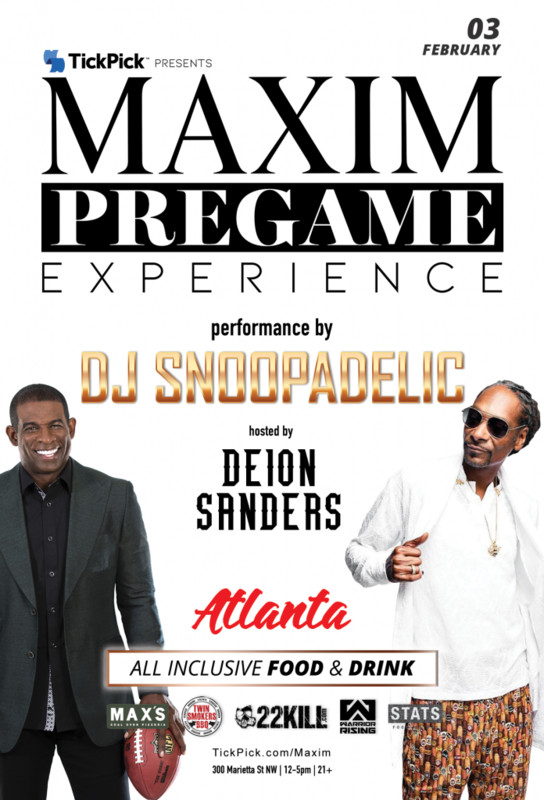 Join Maxim Experiences and TickPick for one of the most exciting Super Bowl pregame experiences in Atlanta! If you have any questions, contact the TickPick support team any day of the week at support@tickpick.com or call 845-538-4567.